Domaine Serene Pinot Noir – Great for Turkey Day ! I hope you’ve been training hard because we are about to embark upon a food and wine marathon that begins with Thanksgiving, shifts into high gear for holiday parties, and roars into overdrive for Christmas and New Years’ celebrations. We will consume more food and drink more wine during this period than at any other time during the year and, as a result, we will boost the first quarter revenues of exercise clubs, diet centers and clothing alteration shops throughout this great land. Between Thanksgiving and Christmas, you will also make more than 50 percent of your total wine purchases for the year. Therefore, today I’ll give you a few wine suggestions to accompany the first big holiday. Thanksgiving is just around the corner and turkey will once again be the centerpiece of this culinary celebration. In the past, I have written about the versatility of turkey to be successfully matched with red or white as well as light or full-bodied wines. The reason this is possible is because turkey has a variety of flavors, colors and textures which can match just about any wine. Add to these dimensions, the manner in which the turkey is prepared (i.e., roasted, smoked, grilled or fried) and the type of stuffing used, and you have a complex set of flavor components that make matching wine with it fun. Indeed, Thanksgiving offers us a rare opportunity to sample several wines with the same meal (and that’s something to thankful for). Conventional wine wisdom dictates that white meat should be accompanied with white wine. Well, in the case of Thanksgiving turkey, that is only partially true. From an herbal sauvignon blanc (which pairs nicely with a sage-flavored bread dressing), to a medium-bodied, yet rich, Alsatian riesling, to a lighter-styled pinot grigio, to a creamy, full-bodied chardonnay, turkey can accommodate each of these white wines quite nicely. In the interest of impartiality, I will take on the formidable task of working my way through a plethora of both white, red and sparkling wines this Thanksgiving. I will then repair to the couch where, full of tryptophan and the fruit of the vine, I will snooze my way through a bevy of football games. Ah, the good life. For the holiday aperitif: Domaine Chandon Blanc de Noirs, Domaine Carneros Brut, Iron Horse Russian Cuvee, or Zardetto Prosecco would tickle and tingle your palate and get you primed for the meal to come. 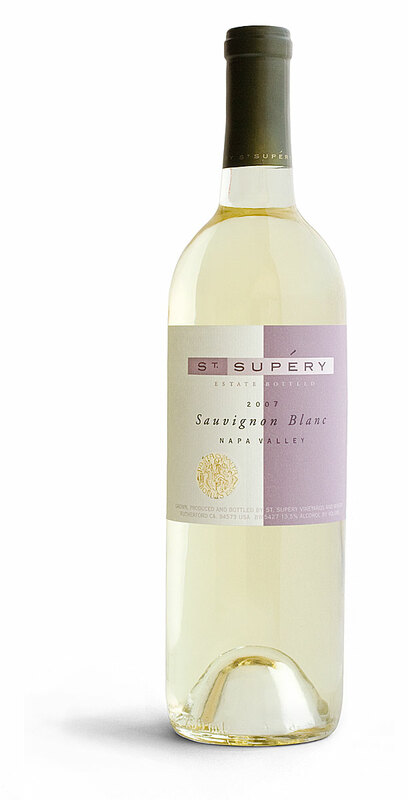 White wines: St. Supery Sauvignon Blanc, Trimbach Riesling, Merryville Chardonnay, Louis Jadot Chablis, Banfi Centine Bianco, Pierre Sparr Gewurztraminer, Talley Vineyards Chardonnay and Tolloy Pinot Grigio. Red wines: Franciscan Cabernet Sauvignon; Luigi Righetti Amarone, Martin Codax Tempranillo, Beaucastel Chateauneuf-du-Pape, Ridge Lytton Springs Zinfandel, Davis Bynum Russian River Sonoma County Pinot Noir; Domaine Serene Evanstad Reserve Pinot Noir,and Georges Duboeuf Morgon Beaujolais. Desert wines: Michele Chiarlo Moscato, Navarro Late Harvest Riesling, J Vidal-fleury Muscat de Beaumes de venise. 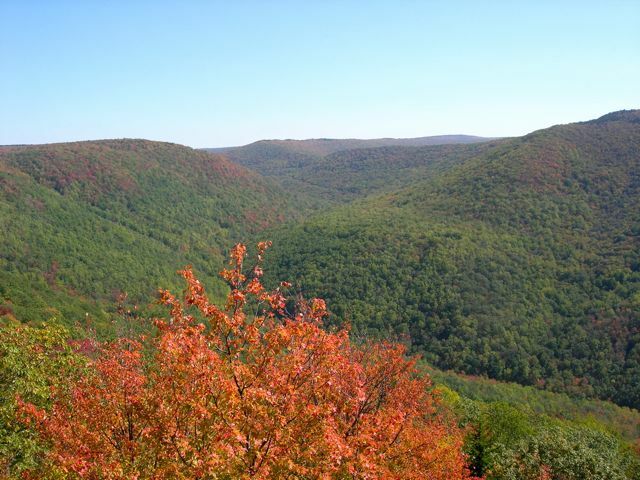 Canaan Valley Resort is once again planning their “Wild, Wonderful Wine Weekend” this fall. Join me and other wine and food lovers on November 11-13 for an entertaining and educational gourmet extravaganza. I’ll select wines from around the world that will be paired with a cornucopia of culinary delicacies prepared by Canaan Valley Resort’s executive chef Eric Buchinger. It’s always fun to work with culinary professionals in pairing wines with their scrumptious creations, and the folks at our state’s most scenic resort always hit the mark at this signature event. The weekend begins Friday, November 11 at 7 p.m. with a “taste-around reception” where wines from the world’s most prestigious regions can be sampled with matching culinary treats from food stations featuring a wonderful selection of foods upon which to graze (see below). On Saturday, guests will be treated to a four-course wine-paired luncheon followed later in the afternoon by a tasting of wines selected and led by yours truly. After the tasting, guests will be free to hike, bike, nap (what I plan to do) or just enjoy Mother Nature’s purple mountain majesty! The evening’s activities begin at 7 p.m. with a six-course grand gourmet dinner with accompanying wines. Hopefully, the menus below will get your collective palates watering in anticipation. I haven’t completed selecting all the wines at this writing, but you can be assured that I will do my best to make you happy. Imported cheeses, Italian Meats, mousse, and pâté. Guests have the option of attending the entire weekend for a package price, or choosing to participate in individual events ala carte. For pricing and additional information or reservations call 800-622-4121 or visit online at www.canaanresort.com. You might want to jump on this one right away. The FARM2U Collaborative is sponsoring a great food and wine event next Monday. See the invite below. or at The Purple Onion, Capitol Market. Seating is limited – advance purchase required. Sponsored by the FARM2U Collaborative. I’m privileged to be a board member of the FARM2U Collaborative which does, among many other good deeds, a great job getting WV farmers together with state restaurants to provide the best foods to those of us who enjoy excellent local cuisine. I consumed some palate pleasing red wine recently produced by a California winery with a West Virginia connection. 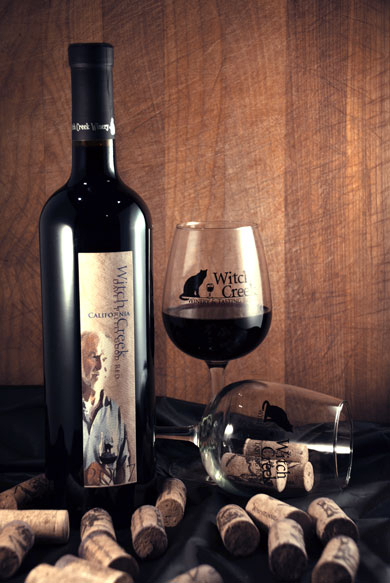 Witch Creek Winery is a boutique operation located along the southern California coast in the village of Carlsbad. While the winery produces varietals such as cabernet and syrah, I am particularly impressed with the meritage (blended) wines that Witch Creek concocts. The winery also makes nebbiolo, aglianico, sangiovese and primitivo, a group of Italian grapes that are not widely made anywhere in the US. Some friends of mine living in Tucker County poured me a taste of the wine one evening as we sat and sipped, reveling in one of those glorious Canaan Valley sunsets. Good wine with Mother Nature’s best. What an inspiring pairing! Witch Creek, which sources its grapes from some of California’s most sought after AVA’s, has also garnered a bevy of medals from prestigious wine competitions such as the one sponsored by the San Francisco Chronicle. I was able to taste through most of what Witch Creek has to offer and came away wanting more. Unfortunately, because of the limited production, most of the wines are sold at the winery and to a few select restaurants in California. However, because of the mountain state connection, a little of this lovely juice will make it back here to a few select wine shops and restaurants. Look for Witch Creek wines in places such as Snowshoe Mountain Resort and selected other areas in the Potomac Highlands. In Charleston, a limited amount of the wine will be available in the Wine Shop at Capitol Market. Here are some notes on three of the wines I tasted just this past week that you may wish to seek out. 2008 Reserve Cabernet Sauvignon ($40) – Medium-bodied wine with aromas of cola and ripe cherries. On the palate, this wine shows a spicy, peppery tone and finishes with a mocha impression. Grilled red meat would be my choice with this delicious wine. 2006 Kathy’s Cuvee ($48) – This meritage is a classic Bordeaux blend of cabernet sauvignon merlot, cabernet franc, petit verdot and malbec. Balanced and complex with layers of berry fruit, this wine has a good tannic core and should benefit from three to five years more of bottle age. I would love to pair this with Veal Marsala smothered in Shitake mushrooms. I recommend using Lombardo Marsala for the absolute best result. For those of you who wish to try the whole Witch Creek line, you may shop the winery online at www.witchcreekwinery.com and order directly from them. Fall is just about here! For me that means harvest is upon us – both in the world’s great wine regions – and right here in West–by-Golly too. While we’re not picking grapes in the Kanawha Valley, our local farmer’s market (Capitol Market) is plum full of late season veggies that I have been eating and/or feverishly preserving for winter time consumption. Also this time of year, my thoughts turn to all manner of grilled meat dishes along with hearty red wines that just seem to go so well in cooler weather. But just as I began to plan a feast for this weekend built around these scrumptious victuals, I was reminded (by guess who) of my impending annual physical. My family doctor’s prescription for my well being includes a heavy dose of reality and a lecture on the merits of lifestyle moderation. So before I visit with him, I’ve decided to prepare a meal that includes a plethora of farm fresh vegetables, some heart-healthy red wine and roasted meat that is chock full of protein. Just what the doctor (Feelgood) ordered. (Note to self: this menu may not comport with the wishes of my family physician). While I’m a man of simple tastes, I am sometimes required to consume complex dishes with esoteric wines and then render intelligent opinions on the experience. 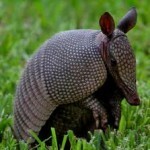 For instance, it is difficult to explain in plain English why shank of armadillo, braised with bok choy in a Tabasco sauce, is such a heavenly match to vermentino grown on the south-facing slope of Mount Supramonte in Sardinia. This job can be challenging! So when I cook for friends and family, the food is usually straightforward, down-home meat and starch type meals with fairly inexpensive, no-nonsense wines that taste good and help de-clog the arteries (see, I’m really trying to be healthy). 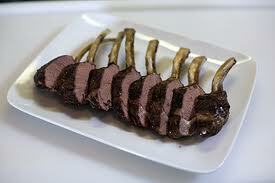 In fact, I dearly love rack of lamb, grilled and served with a great big, full-throttle Zinfandel. I have used New Zealand rack purchased at Sam’s Club and these babies are excellent. But recently, I was able to get US raised, anti-biotic-free rack of lamb from my good friends at Sandy Creek Farms near Ravenswood. I have mentioned Sandy Creek many times in the past. They raise beef, pork and lamb on organic food-stocks with no antibiotics or other additives, and then butcher and flash freeze the cuts of meat which they then deliver in and around the Charleston area. If you’re interested in having them deliver to you call 1- 800-487-2569. And while I love their beef and especially their pork chops, the rack is simply succulent. 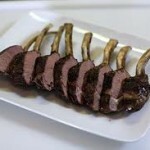 Here’s my recipe for marinated and grilled rack of lamb, along with a few wine suggestions ,to go with this delicious meal that will feed four adults. Serve with a side dish of ratatouille, vegetable couscous or pasta in a pesto sauce. For the perfect wine accompaniments, I suggest full-bodied reds such as zinfandel or grenache. Try Ridge, Falcor, Edmeades or Easton zinfandel or Las Rocas, Borsao Tres Picos or Evodia grenache (garnacha). These wines are all priced under $20 a bottle. Today, I want to share a few recommendations from some red wines I’ve sipped recently and which I think you will enjoy too. They come from places as geographically diverse as California, Germany and Italy, but that’s one of the great aspects of wine appreciation: if you can’t find what you’re looking for, there’s always someplace else to look. I have been a long time fan of Sebastiani Winery located in the town and county of Sonoma. In fact, Sebastiani was the first winery I ever visited – way back before Al Gore invented the Internet. Over the years and through many Sebastiani family leadership changes two things have remained consistent: quality and value. So I was concerned when I read that the family had sold the winery a few years back to the Foley Wine Group. My concerns, though, were unfounded as evidenced by the continuity of quality in the wines produced to this day. Recently, I tasted a couple of wines that reinforced this view. Merlot has gotten a bad rap ever since the movie Sideways. As the price of merlot dropped, I happily benefited and stocked up on as much of the stuff as I could afford. Appreciation for Merlot (unfortunately for me) is ramping back up and the following effort from Sebastiani clearly demonstrates why. 2007 Sebastiani Sonoma County Merlot ($19) – This is a very focused wine with spicy plum and earthy flavors balanced by tannin and a nice touch of acid. Try it with grilled lamb chops basted with garlic, lemon and olive oil. 2009 Sebastiani Pinot Noir ($18) Wonderful balance in this elegant, value-priced pinot noir. Ripe cherries, some vanilla and bright acid characterize this wine from the cool Sonoma Coast. Grill a filet of salmon that you’ve dusted with cumin, brown sugar and a little chili powder, and then wash it down with this supple sipper. 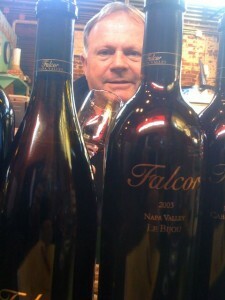 It is not hard to say good things about Falcor Winery. This Napa Valley operation owned by two Charleston lawyers has produced exceptional wine for more than 15 years. Their stable of products, which include a ripe and rich chardonnay and deep and full bodied reds such as zinfandel, pinot noir, cabernet sauvignon, sangiovese and syrah, are sourced from some of the best vineyards in Napa and other highly sought after California appellations. I am particularly fond of their Bordeaux-like blend called Bijou.Recently, another blended wine from Falcor has caught my eye…er palate. 2006 Falcor Bilancia ($36) A blend of 57% Zinfandel, 33% Petit Sirah, 7% Charbono, 2% Carignan, and 1% Valdiguie, Bilancia is a textbook example of why vintners choose to blend. Round and rich flavors of dark fruits, mocha and spice are balanced by bright fruit and good acidity. With fall coming on, I would pair this wine with braised short ribs rubbed with garlic and black pepper and cooked in a bath of tomato sauce and red wine. 2008 Aia Vecchia Lagone ($19) What a find! This beauty from Bolgheri near the coast in Tuscany is Italy’s version of Bordeaux with a blend of merlot, cabernet franc, cabernet sauvignon, and sangiovese. Rich and velvety with ripe black cherry and cola flavors, the Lagone can be drunk now and will continue to benefit from aging for several years to come. I enjoyed this baby with eggplant stacked and layered on the grill with garden tomatoes, fresh mozzarella and basil. 2010 Noble House Sweet Red ($10) Some of us take wine seriously…too seriously. Noble House Sweet Red, made from dorfelder (a funny name, don’t you think? ), will put a smile on your face! And it’s really not very sweet, but it is full of great cherry and red fruit flavors. It’s also a surprisingly good accompaniment to food. Serve it slightly chilled and enjoy it as an aperitif on the porch or at the picnic table with a burger or some pulled pork barbecue. If you are a wine and food fanatic (and you wouldn’t be reading these words otherwise), you’ve got to love what Jim Justice has done in breathing new life into the Greenbrier Resort. Let’s face it, the grand old lady was slipping before he stepped up and rescued this venerable and historic resort. By renovating the rooms and public places, constructing a very tasteful casino and developing a world-class golf tournament, Justice is working tirelessly to upgrade the resort with the goal of achieving five-star status. With all due respect to the above-mentioned achievements, I am particularly impressed with the efforts to elevate the wine program and cuisine at the Greenbrier. In addition to the elegant Main Dining, Draper’s and Sam Snead’s at the Golf Club, the resort has added In-Fusion (a pan-Asian restaurant), The Forum (Italian) and Prime 44 West Steakhouse named after basketball great and state native Jerry West. I’ve had the pleasure of dining at all of the establishments mentioned and I can tell you that particular attention is being paid to making sure that the wine lists are specifically tailored to the menus of the various restaurants. Why should that come as a surprise, you may ask? Well, the range of complex dishes prepared at the various dining venues is stunning, and it would be so much more manageable to keep just one well-rounded list and use it for each different restaurant. But not at the Greenbrier. Through coordination and consultation among food and beverage president Jeremy Critchfield, executive Chef Richard Rosendale and director of wine Heath Porter, the resort is able to tailor each restaurant’s menu with wines that match and enhance the culinary focus. And, since the menus are regularly evolving, the wines are constantly changing. So if you have not visited the resort recently, you should treat yourself and that special other person in your life to a little R&R at the Greenbrier. In fact, the resort is offering a few wine-oriented events this fall that should tickle your palate. Janet Trefethen, of the Napa Valley winery of the same name, will be at the Greenbrier on September 9 & 10. Trefethen Vineyards has been winning international acclaim since the 1970’s and features some of the most elegant cabernet sauvignon made in Napa. In fact, the winery provides the cabernet for Prime 44, the Jerry West signature label. Jerry West and "Prime 44"
Ms. Trefethen is the matriarch of this family winery and will lead guests in a tasting on Friday, Sept. 9th from 5 to 6 p.m. ($50 per person). 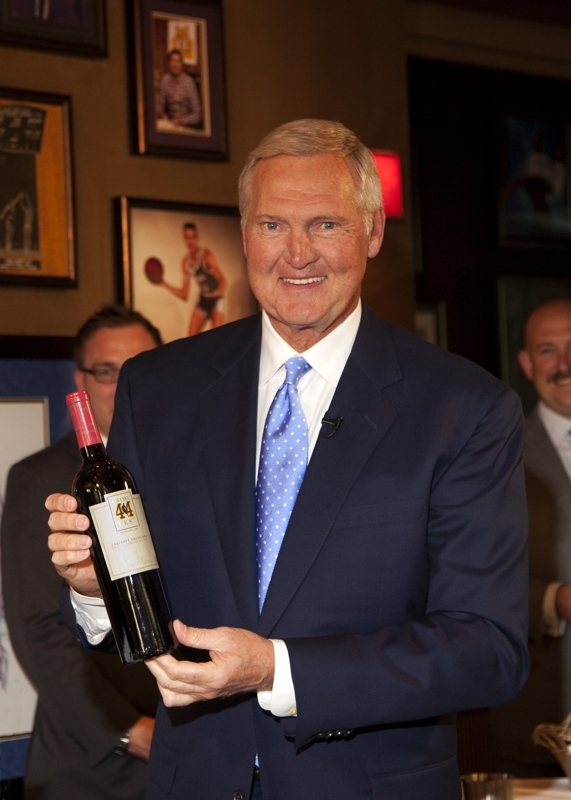 On Saturday at 6:30 p.m., Ms. Trefethen will join Jerry West and other guests in a special wine dinner at Prime 44 ($250 per person). just south of San Luis Obispo in the heart of California’s Central Coast wine region. The winery focuses on chardonnay and pinot noir. On Friday, Oct. 7, at 4:30 p.m., Brian Talley will lead a tasting featuring 6 wines including many single vineyard wines and older vintages ($40 per person). On Saturday at 6:30 p.m., join Talley and other guests for a special five-course dinner with six matching wines ($150 per person). Bob Lindquist, winemaker of Qupe Vineyards in the Santa Maria Valley (just north of Santa Barbara) will showcase his wines on Friday, October 28 at 5 p.m.($50). Lindquist and Qupe focus on Rhone Valley varietals such as marsanne, viognier, grenache and syrah. Qupe is considered among the finest syrah producers in the US. For further information on these tastings and other Greenbrier events, you may call 800-453-4858. As a general rule, I avoid cooking indoors this time of year. It doesn’t make much sense to heat up the house by using the kitchen stove – let alone the oven – but that’s what I did last weekend to prepare one of my favorite seasonal go-to dishes. The Italian side of my family calls the dish “Teala” (pronounced tee-A-luh). This superb casserole uses some of the freshest vegetables available from our gardens or the local farmer’s market, and combines them with herbs, cheese and spices to make a delicious all-in-one meal. Teala was a summertime staple for many of us growing up in our Italian neighborhood of North View (in Clarksburg). In those days long ago, Howdy Doody ruled the airwaves, Sponge Bob was traveling salesman and Julia Child was a former spy who liked to cook. Anyway, Teala was about the only way my mother could get me to eat veggies such as eggplant, zucchini or squash. And those are the primary constituents of the dish, along with potatoes, which are optional. As a matter of fact, Italians not only allow options, they encourage menu latitude which in turn precipitates heated arguments over who’s Teala is best. And, of course, that’s the idea. So, today I am going to share my version of the dish my mother, grandmother and aunts prepared (each one differently). Most used potatoes (I don’t), some refused to use tomatoes and others disdained the use of hot peppers, onions or bread crumbs. This then allowed them to debate the merits of each Teala iteration endlessly. Wherever they are at this moment, I know they’re all ready to pounce, but here’s my take on Teala which, by the way, can be paired wonderfully well with sauvignon blanc such as St. Supery from Napa. The dish would also marry nicely with a medium-bodied, spicy red like Marques de Caceres Rioja. WineBoy is dead….long live WineBoy ! Well, he’s not actually dead, but he is in transition as this Gazette Community Blog has been renamed Vines & Vittles. Why, you ask? For those of you who have followed WineBoy from its inception in January 2007, you will remember that it was first and foremost a webcast that allowed me (in the guise of WineBoy) to create several characters who had their own unique views about wine appreciation. The WineBoy webcasts were produced by the Gazette and shown on this site for a little more than a year before they became too time-consuming for the newspaper to continue in light of the increasing demand for hard news video. Since the demise of the webcast, this blog has continued to provide you with written information on wine and food, but without the weirdly insightful, sometimes outrageous and always wacky opinions of my alter-egos: Wine Astrologist Marcrazi Umberto Lupini, the Right Reverend Red N. White, English nobleman and wine critic Sir Reginald Winesot Clydesdale, Frenchman Pierre N’Cest Pas (wine cynic) and Cowboy Oenophile Spud Dumplin. I am in the process of developing a website where I hope to reprise the WineBoy characters and archive many of the older webcasts. In addition, I will move my blogs to that site after they appear here first. I’ll let you know when my new website is up and running and hopefully you’ll be able to view some of my WineBoy webcasts as well as some new ones I’ll be creating. Vines & Vittles (I know… the proper spelling is “victuals”) more accurately describes where my emphasis is with this blog, and I’ll continue to provide you with my take on wine and how food makes the beverage we all love so much better. Nothing here will change except the name of the blog. So today, I’ll lift a glass to WineBoy and those intrepid characters who made telling you about wine so much more fun than it should have been. The Roark-Sullivan Lifeways Center (RSLC) is a very special organization with a great group of dedicated employees and volunteers. The center assists individuals experiencing homelessness with services that help them become self-reliant. For the past several years, RSLC has been hosting a fund raising event at Capitol Market called “Wine and Roses.” Wouldn’t it be great to help programs like Roark-Sullivan and enjoy good wine and gourmet food, too? Well, you can! Join me and other wine lovers at the Roark-Sullivan Lifeways Center Wine and Roses event. Wine and Roses will be held indoors at the Capitol Market from 5:30 to 7:30 p.m. on Thursday, August 4. Area wine distributors and locally owned Napa Valley winery, Falcor, are donating the wines. And believe me, there will be exceptional wines available for your sipping pleasure from all over the world. In addition, there will be an assortment of gourmet appetizers you can pair with the wines. I’ll be there to answer your wine questions and chat about the tasty treats we’re sipping. And, hey, if you find a wine you like, you can stroll right over and purchase it immediately from the nice folks at the Wine Shop. Tickets are $35 and you can get them at the door or by call RSLC at 304-414-0109 . You may use your credit card or send a check to: RSLC, P.O. Box 1707, Charleston, WV, 25326. Italian summer sippers: Molto Bene! I have been on an Italian wine kick recently, sipping my way through all manner of vino and loving every second. It started with an Italian family wedding where the food was matched with fiascos of wine, including many hailing from that boot-shaped peninsula. It kept on going when my brother, who thinks he is innately blessed with a sommelier’s palate, paid us an extended visit and proceeded to drink his way through my now depleted cellar. To be fair, he did share a few of his vinous treasures – most of them older Barlos and Brunellos – so I shouldn’t complain too much (but I am). Don’t get the impression, however, that we focused only on reds. No siree, we sipped everything from pinot grigio and arneis in the north to verdicchio and grillo down south. In addition, we tasted a whole lot of other whites and reds in between to accompany the prodigious quantities of food we prepared and consumed. As I waddle around here now in self-imposed detox, I’d like to share with you some Italian wine suggestions, particularly bottles that pair well with the lighter-styled foods of summer. The versatility of these wines insures that, while they certainly do well with Italian dishes, you can match them with just about any cuisine. All the wines recommended below are available in selected wine shops around the state. Oh, and be sure to pop the reds in the fridge for about half an hour before serving them. So here you go. 2010 Falesco Vitiano Bianco ($13)– This Umbrian lovely is made from equal parts of verdicchio and vermetino (a grape mostly grown in Sardinia). It is chock full of ripe green apple flavors with tones of minerality. Nicely balanced and refreshing, the wine would be an exceptional match to Salad Nicoise. 2010 Zenato Pinot Grigio ($14) – This is an atypical version of pinot grigio that, while delicate, exhibits a fruit forward richness and roundness in the mouth with an almost viognier-like aroma. This wine would be great to sip alongside a portobello mushroom, scallion, chevre and ham omelet. 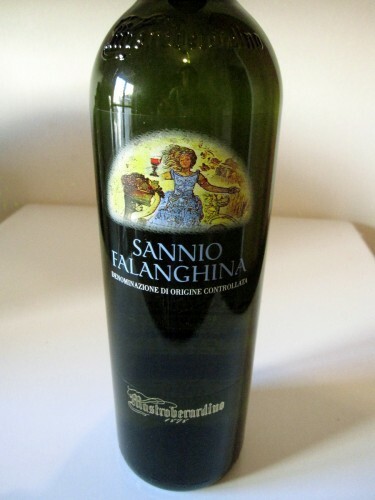 2009 Mastroberardino Sannio Falanghina ($18) – I know the name is a mouthful, but so is the wine with a nose of anise and stones along with ripe pear flavors. This is a spicy white from southern Italy that you could very successfully match with steamed clams. 2008 Zenato Valpolicella Superiore ($18) – One look at this deeply colored wine and you think it has to be a ripasso (check out my last post) but it’s not. Still, this valpolicella is richly textured and at the same time refreshingly balanced with loads of black cherry and cola flavors. It would be great with grilled chicken basted with garlic, olive oil, rosemary, lemon and coarsely ground black pepper. 2007 Prunotto Dolcetto d’Alba ($19) – This is a wonderfully refreshing lighter-textured red from Piedmont in northern Italy that constantly flies under the radar with consumers. With flavors of raspberries and cherries and excellent balancing acidity, this is a wine to accompany brats, Italian sausage or burgers on the grill. 2009 Prunotto Barbera D’Asti (($17) I’m a big fan of barbera and this one is full of plums and blackberries with great balance and a long finish. It also has some tannin that would allow it to continue to age with grace for a couple more years. Try it now with cappellini in a sauce of fresh tomatoes, basil, garlic and pecorino romano.